Designed exclusively for StarCraft® II: Wings of Liberty™ with a focus on maximum sound isolation, comfort and portability, the Razer Banshee provides everything you could wish for in a headset. The Razer Banshee features a newly developed, multi-color APM (Actions-Per-Minute) Lighting System that provides real-time feedback about the player’s performance in game. The Razer Banshee is equipped with a configuration utility for customized adjustments of equalizer, pitch and volume. Other special features include a detachable microphone boom for easy transport and a comfortable circumaural construction, all in a gaming optimized design inspired by the StarCraft II universe. 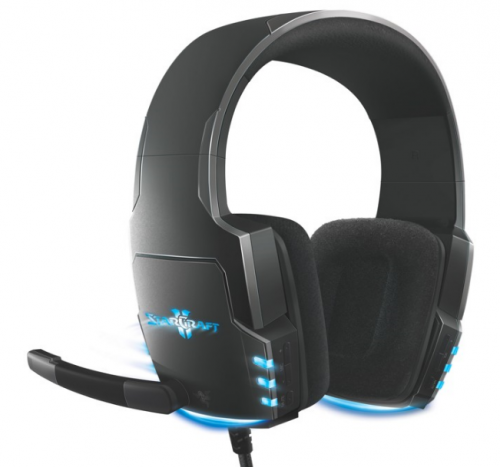 Where can I buy the Razer Banshee Star Craft Headset?